In which G.M. Norton tests out a new hair product that makes big bold claims. I’m a pomade man. I wear it every day and it gives me the look that I desire. So when I received a missive from the interestingly named The Legends London, offering me the chance to test out their new hair gel, I had my doubts. Over the course of my life, my experience of hair gel has never really been very positive so the mere mention of the word ‘gel’ doesn’t have terribly good associations with me. Pomade on the other hand is a safe word, a dependable word. I have an inquisitive nature though so as the hair gel that The Legends were offering was completely free, I thought, why the devil not? A few days later and the 220ml tub was in my hands, ready to give the hair gel its first outing. As first impressions go, I was quite taken with the red retro design. It wasn’t one of those achingly modern tubs that I associate with hair gel. Upon unscrewing the lid and I was greeted with a quite wonderful sight – a neon pink gloop that I was strangely drawn towards. Compelled to dip my fingers into the pink slime substance of the hair product and it soon became reassuringly sticky to the touch. I prefer to apply pomade to slightly damp hair so I followed the same course with this new hair gel product. Smearing the stuff over the old barnet, it immediately drew comparisons to Layrite Super Hold. Combing it through with my Trumper horn comb, I made my usual side parting and within seconds, my hair was complete with the nice sheen that I prefer. I quickly made my way to the wash basin to remove my hands of the sticky stuff, which washed off quickly and easily. So, how did The Legends London Maximum Hold Hair Gel fare? (Crikey, that was a mouthful!). Well, my dear reader, upon my return home after a long day at the office, not a single hair was out of place. My hair was very much set in stone with the hair gel. Once it had dried, it was quite hard. After reading about the product on The Legends London webular site, it claimed that the hair gel could simply be combed out so naturally I gave it a whirl and can now confirm this statement. The Legends also claimed that the hair gel easily washed off with water, unlike all non-water based pomades which are dashed difficult to completely remove. The following day, after trying the gel out once more, I washed my hair and the gel was gone. Once again, very similar to Layrite, which is also incredibly easy to eradicate from the old cranium. 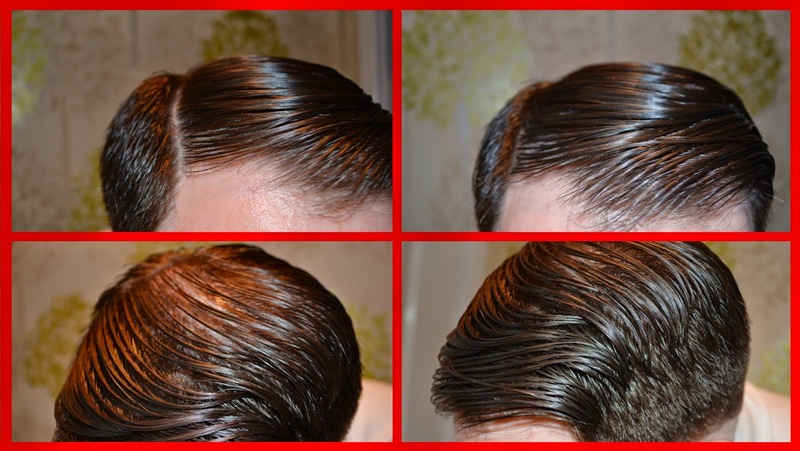 Since receiving The Legends London Maximum Hold Hair Gel, I have used it every day without fail. At a mere £8 a tub, compared to the vastly overpriced Layrite, I have no hesitation in recommending this to you. A legend has been born. I do rather like a good shine! I'd certainly recommend this hair gel for your photo shoots, m'lady. It washes out instantly in warm water but can take a good lashing of rain and still survive.